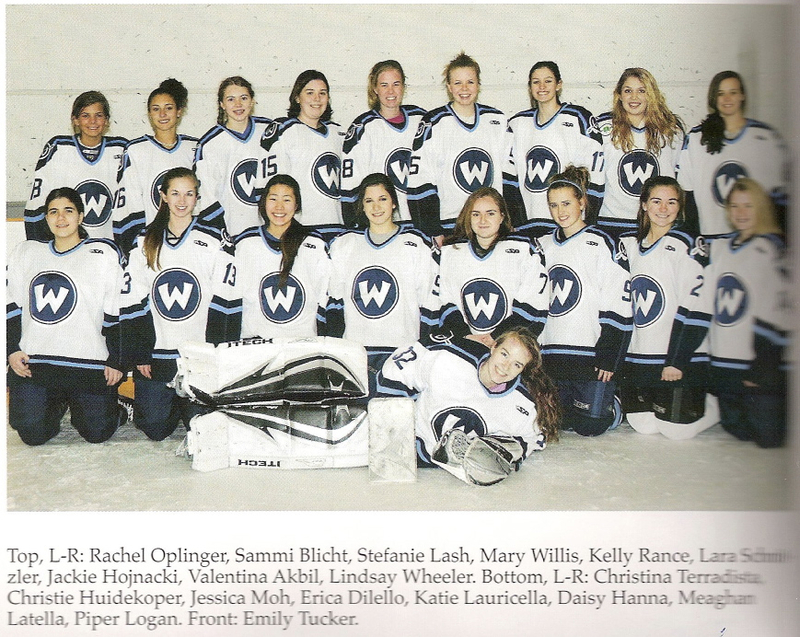 Team: Valentina Akbil, Sammi Blicht, Erica Dilello, Daisy Hanna, Jackie Hojnacki, Christie Huidekoper, Stefanie Lash, Meaghan Latella, Katie Lauricella, Piper Logan, Jessica Moh, Rachel Oplinger, Kelly Rance, Lara Schnitzler – Captain, Christina Terradista, Emily Tucker, Lindsay Wheeler – Captain, Mary Willis. 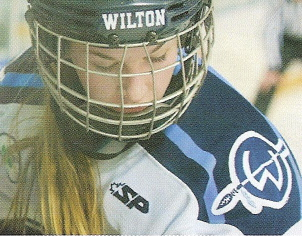 This was finally the first year for the Wilton Girls’ Varsity Hockey Team! 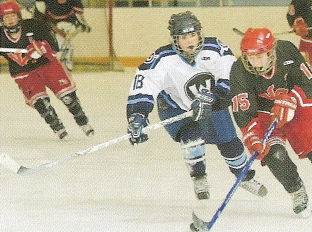 From the first practice, the team seemed very promising and full of potential for learning and development. 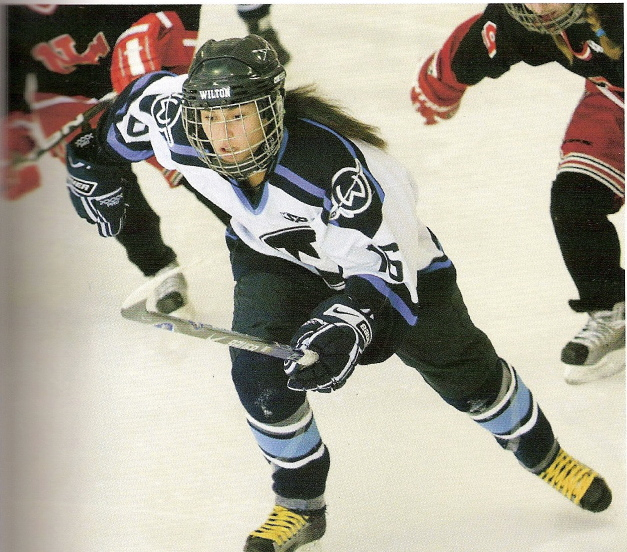 Although only five player, Lara Schnitzler, Christie Huidekoper, Jessica Moh, Sam Blicht and goalie Emily Tucker, brought hockey experience to the team, everyone else was willing and quick to learn. 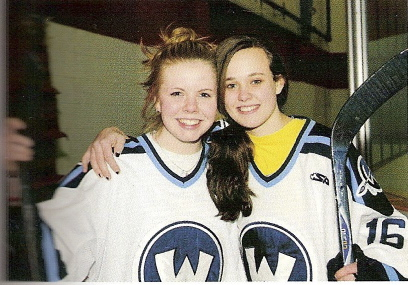 Under solid leadership from junior captains, Lara Schnitzler and Lindsey Wheeler, the Warriors managed to have an impressive first season record of 3-10-0. 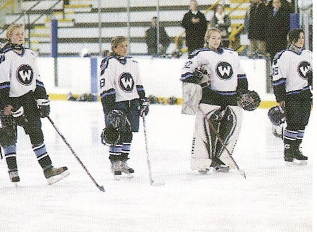 The Warriors also won their last game against Trumbull 2-1, which was a non-FCIAC scrimmage. 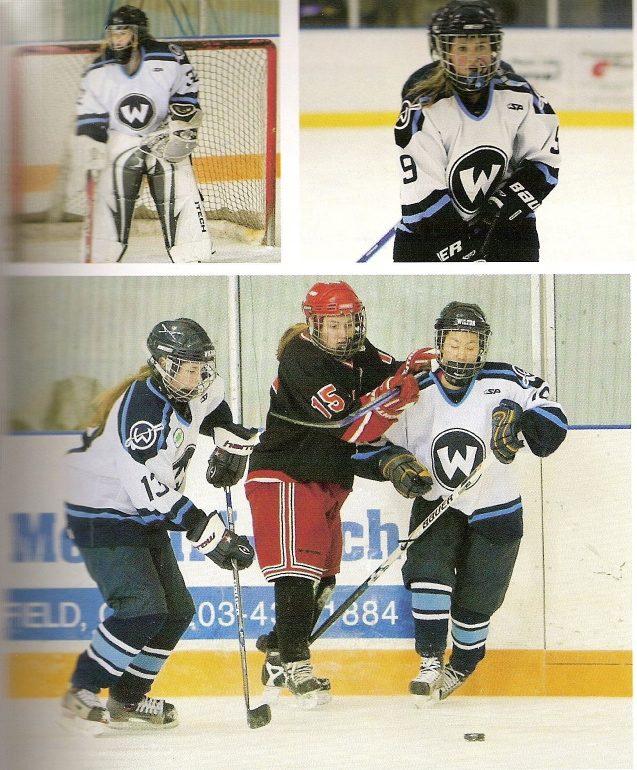 Many of the losses proved to be closer games than expected; with a strong defensive effort from defensemen Christie Huidekoper, Rachel Oplinger, Lindsey Wheeler, Stephanie Lash, and sometimes Lara or Jess, the Warriors were able to keep the score in the first two periods very close in games against more experienced teams like Ridgefield and Darien. 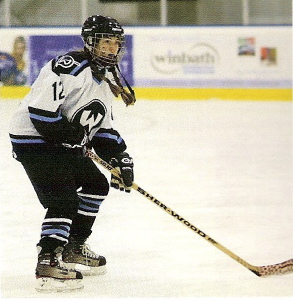 The season included many highlights like the hockey team’s first goal ever, scored by Christie Huidekoper, and the hat-trick scored by Sam Blicht leading the girls to their second victory against Fairfield on a memorable senior night. 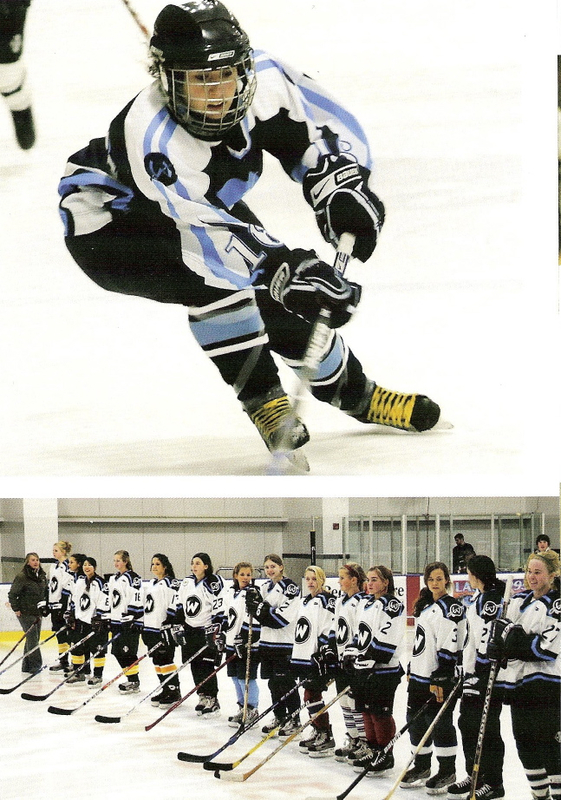 Although the season started off a little rough for the team, the girls definitely doubled the intensity of their on-ice and off-ice training, which ultimately yielded great success as the team won its last two games of the season, defeating Fairfield 4-2 and Staples 7-0. 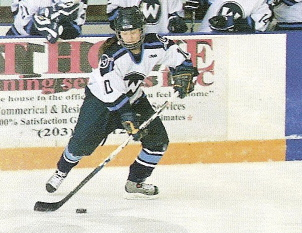 Because the hockey team is losing only one senior, Rachel, next year’s team will definitely be even stronger with all of its valuable returning players and many upcoming freshmen.